It ain't over 'til it's over. The latest Hedonic Home Value Index from CoreLogic RP Data showed that for the first time in a very long time, Sydney was no longer the best-performing Australian city when it came to property values. With 10.5 per cent upward movement in dwelling values between January 2015 and 2016, we fell 0.5 per cent behind the new leader Melbourne. While that seems like bad news for now, there's plenty of context to give this, so you can get the full picture when it comes to Sydney real estate. So here are five reasons we think this doesn't spell doom and gloom. In his analysis of housing values, CoreLogic RP Data's Tim Lawless noted one important detail - the market hasn't even picked up yet. "January tends to be a relatively quiet month across the housing market," he said in the February 1 statement. "January tends to be a relatively quiet month"
Auction volumes and clearance rates are low as people are yet to return to the market in full force, which means any positivity for Sydney is welcome. And even over January, values went up by 0.5 per cent. Who knows what kind of performance we'll see when people turn their full attention to local real estate? One of the most important things to remember about buying property in Australia is that while the market plays a role, the most important thing is whether you are in a financial position to make a purchase. You have to take into account property prices, your income, potential yield, interest rates, home loan terms and that's just the tip of the iceberg. But one thing that might bolster your buyers' confidence is the Reserve Bank of Australia's cash rate announcement for February. As the markets have cooled down, there's been less talk of risks in housing, and the RBA has been more comfortable toying with the idea of further cuts. Whether or not these will actually come to fruition remains to be seen, but stability for now is good for buyers looking to secure an interest rate near its all-time low point. Even with a slight increase in bank interest rates in November, the Housing Industry Association noted that Sydney's affordability did not take a hit as hard as Canberra and Melbourne. 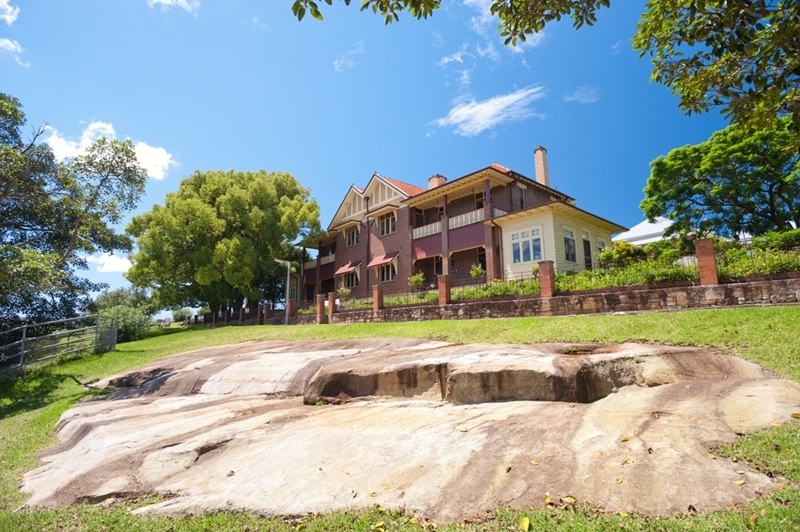 Could you still buy prestige or heritage property in current conditions? There are no two ways around it, Sydney's property growth isn't going to reach its 2014-15 heights any time soon. This year, I think we're going to be headed back towards growth in the 4 to 7 per cent range, which is still very positive (if not astronomical). But if you are thinking about property investment in Sydney, a short term fall shouldn't worry you anyway. That's because in the longer term, property should always bring you sound returns. The Australian Bureau of Statistics reported in 2006 that the REIA record the median house price in Sydney at a mere $521,500. It's pretty much in line with old adage that your investment will double in value over the course of a decade! Think long term when you're thinking capital gains. Just because the overall view of Sydney is of a growth slowdown, those looking for positive cashflow property or quick capital gains may still be able to do so. For example, the Property Council of Australia recently noted that a light rail project for Parramatta is going to significantly boost its investment value. "Light rail can help link local markets, boost mobility and liveability"
"Light rail can help link local markets, boost mobility and liveability and give people greater transport options as the region grows," said NSW executive director for the council Glenn Byres back on December 8. As we've touched on before, the west also saw some of the best land value increases in the state over 2015. Whenever you're worried about a slowdown, remember there are always pockets of gains. A lot of the time, it isn't necessarily the conditions that stop people from being able to buy Sydney real estate, but a lack of knowledge and information. Knowing where the best rental returns are, which prestige suburbs have sound capital gains, even where the affordable properties in expensive suburbs are. With the help of a buyers' agent, this sort of information is delivered to the palm of your hand. We assess your situation and find properties to match - essentially a tailored service for exactly what you need. Want a four bedroom house with a focus on positive cashflow in the inner west? We'll present you with a wide range of options that could suit your wishes. Additionally, our access to off-market properties opens up a whole new set of opportunities to buy, upgrade or invest. It can be the key to beating a market that's taken a breather from skyrocketing capital gains.